Toon Blast is one of our favorite games. The sheer amount of levels there ensures that there’s an endless amount of fun to be had. But sometimes you need a little help, that’s where tips and tricks come in handy. Today we’re going to share the top 7 tips and tricks for Toon Blast with you that will make you a better player. So follow the following 6 tips and you’ll get to the highest level in Toon Blast in no time. Starting from the bottom is a good idea in Toon Blast because it gives you a better chance to set up big combos. More on combos in our next tip. Don’t just go ham right from the start. Take your time to analyze the board before making your moves. If you just go for the first 3 piece combo that you see you might miss out on some bigger combinations. Keep in mind that when you hit combos of 4 or more blocks you will get a special block so make that your first goal. When you do that consistently you can go for even bigger and bigger combinations. As mentioned before you should go for big combos. When you clear 5 same-color blocks in one combo you will get a rocket that clear a whole row of blocks. Six same-color blocks in one combo and you’ll get a bomb that will destroy a 3×3 square around the bomb. If you want to go even further you can attempt to get clear 9 same color blocks in one combination. When you manage to do this a disco ball will spawn that destroys ALL blocks of a certain color. These special pieces can speed up your clear times significantly and that’s why they’re so important. When you reach level 15 you unlock the star chest. This means that whenever you reach 20 stars after level 15 you will unlock a star chest. 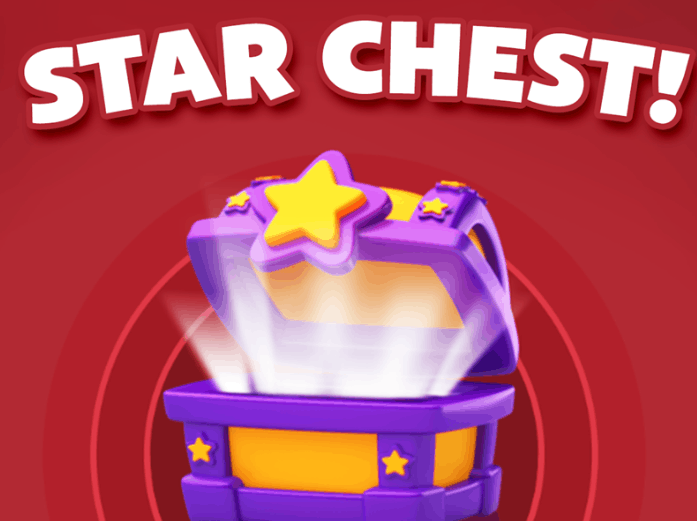 However, this also means that the stars you earned before level 15 don’t count towards you star chest. If you want to play effectively you shouldn’t waste your time trying to get the maximum amount of stars on each level before you reach level 15 since they don’t count towards you star chest anyway. After you reach level 15 you should try to get as many stars as possible and get those juicy star chests. Once you reach level 20 you’ll be able to either join or create a team. Now, creating a team will cost you quite a bit of coins so if you don’t want to do that you can just join someone else’s team. The purpose of teams is to help each other out. Your teammates can give you extra lives when you’re in need and this can come in very handy when you’re in need of that extra life to beat a level. Of course, you can also give lives to your teammates and it is generally encouraged to pay back the favors that other people have bestowed upon you. Many people run out of coins when they’re playing Toon Blast. In order to solve that problem we’ve figured out a great method of obtaining free coins. You might be tempted to try to use cheats for Toon Blast but before you do that you should read the post about Toon Blast Cheats. These truth about these cheats might surprise you. Previous Post:Toon Blast Highest Level – How many levels are there?